Need Help Clearing Forest and Wooded Areas in Australia? Clearing forest and wooded areas in Australia describes deforestation and the removal of vegetation native to Australia. Clearing land involves removing native habitats and vegetation. This includes bulldozing native woodlands, forests and bush or scrub land to replace this with other land uses such as urban and agriculture purposes. In the past two hundred years, as much as seventy per cent of the native vegetation of Australia has been modified or cleared. Most of the clearing has occurred in the last fifty years. Prior to the settlement of the Europeans, Australia was covered mostly with native vegetation. However, at the moment just eighty-seven per cent of the natural Australian forests remain. In total, about thirteen per cent of the native Australian vegetation has been cleared with most of this being woodlands and native forests. 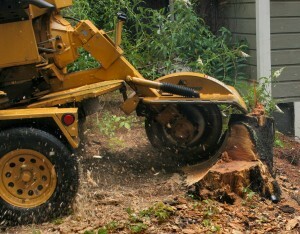 Land clearing throughout history was supported as an essential part of improved productivity by the Commonwealth and State Governments. It was seen as essential to economic national prosperity. Most of the Australian land that had been cleared was developed for wheat, sheep and cattle production. In Australia, 46.3% of marginal semi-desserts have been cleared for grazing cattle if it had natural vegetation. Apart from kangaroo culling, the land was too infertile and dry for any other use agriculturally. Some woody scrub had been cleared from this grazing land. Currently, 15% of Australia is in use for forestry and agricultural purposes on land that has mostly been cleared. 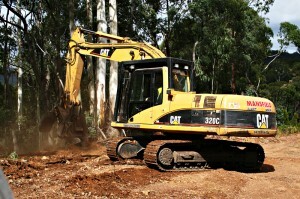 In Australia, the main objective for land clearing is for agricultural production. Where rainfall and soil fertility allow, land clearing allows for increased production of agriculture and land value increase. It was seen as progressive to clear the land and there was generally a view that the land would go to waste unless development took place.